In search of some scrumptious jelly sweets to chew your way through? 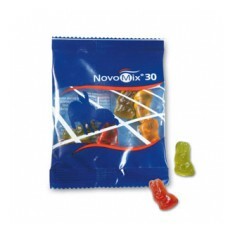 Our promotional Jelly Sweets are packed with gummy goodness. Sweet are great for handing out as good will gestures at events that everyone will love whilst being cost effective, our range of personalised jelly sweets are ideal for keeping that sweet tooth under control. All of the customised jelly sweets in this range have a great branding area that allow you to fit plenty of information on these products. Tasty, great value for money and ideal for those little handouts at exhibitions and events - make sure you're handing out custom printed jelly sweets. 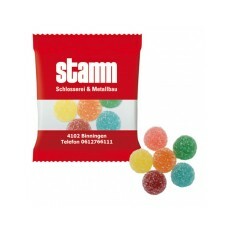 Looking for some natural sweets that are suitable for most dietary requirements? 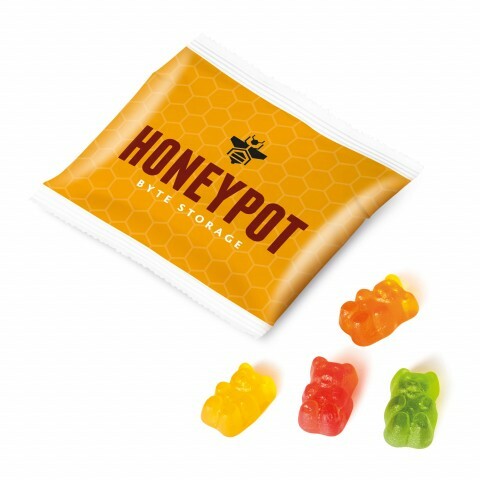 Our Small Pouch of Gummy Koala Bears are made from real fruit juices and natural colours which makes them suitable for vegetarian, vegan, halal and kosher diets so they’re suitable to hand out to everyone. Or go for a real sugar indulgence with our personalised Sugar Coated Jelly Bags. 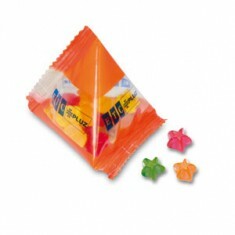 Filled with an assortment of jellies in different colours and flavours which are coated with sugar and then stashed in a bag which is custom printed with you design. Can’t believe how good they look? Give our sales team a call and we can arrange for samples to be sent to you so you can taste them for yourself! Suitable for most diets. Real fruit juices & natural colours. 10g bag szie. Clear/white cello bag with 10g of assorted fruit jelly shapes. Digital print o..
Each personalised pyramid contains your choice of 15g of '@' symbol, star, smi.. Filled with assorted colours & flavours. 5 flavours. 10g. 12 month shelf life. Real fruit juices & natural colours. Suitable for most diets. 5 flavours available. Compostable, plant based packaging. Sweets suitable for most diets. 3 sizes available.